Supreme Cleaning (Kent) Ltd are professional commercial cleaners who specialise in providing commercial facilities and premises with essential cleaning services. We regularly provide our services to sports clubs, entertainment venues, schools, surgeries, offices and more throughout Tonbridge. We are hugely experienced and have a team of expert operatives on board to carry out all the work. From commercial window and floor cleaning services to daily contract cleaning, Supreme Cleaning specialises in a number of different cleaning services. We use first-class supplies and equipment designed to produce high-quality results every time. We possess all the necessary skills and experience required to ensure hygiene is maintained in commercial environments of all kinds. We are also fully insured and reference checked. With specialist experience in thorough carpet and upholstery cleaning, Supreme Cleaning provides offices and small to medium-sized businesses with a service designed to revitalise and renovate your carpets and soft furnishings. We can also apply stain protection products to further ensure the longevity of your office carpets. The commercial floor cleaning service provided by Supreme Cleaning covers all floor types, from stone flooring, to vinyl flooring services, hardwood floors and much more. Whether your floors need a good steam clean, buffing or if they need specialist cleaning equipment, Supreme Cleaning work to give your floor the best shine. Our interior and exterior window cleaning service ensures that all business partners and customers get the best first impression when entering your commercial building. Regular window cleaning is essential in larger towns and cities, which is why we use only professional reach and wash systems to help us deliver highly-efficient commercial cleaning results every time. We have been providing daily contract cleaning services for offices, businesses and other industrial environments for many years and have provided businesses and organisations with the opportunity to make outstanding first impressions on their clients and visitors. Our service incorporates a comprehensive range of cleaning solutions that cover everything from offices and cloakrooms to kitchen facilities and corridors. Our Tonbridge cleaners can guarantee a safe and clean environment for employees to work in. 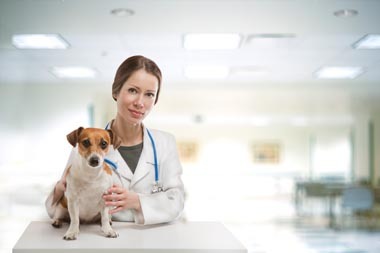 Surgery/Veterinary Practice Cleaning – Supreme Cleaning provides a consistent cleaning service to veterinary surgeries in Tonbridge. In-house managers who have adopted their own cleaning responsibilities may find this stressful and tiring, especially when absence rates among members of staff remain high as a result of infectious bacteria. Hygiene is absolutely vital in any surgery and we make sure waiting rooms and offices are free from bacteria and suitable for members of staff, visitors and their pets. Cleaning Contracts for Sporting and Social Venues – Sporting and social venues can also benefit from our daily contract cleaning services, including Masonic lodges, concert halls and golf clubs. Making a good impression upon the arrival of guests is important and we can make sure that venues are spotless and capable of hosting events of all kinds. Our service level agreement guarantees that we will provide your venue with an outstanding cleaning service every time. 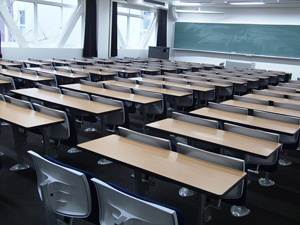 School Cleaning Services – Private and state schools, as well as colleges throughout Tonbridge, benefit regularly from our consistent contract cleaning services. It is absolutely essential that children and young people are able to work effectively where hygiene is maintained as this has a positive impact on their education overall. Our contract cleaning services significantly reduce the chance of infectious diseases spreading from one person to another, leading to fewer absences throughout the year. Call us today for a free no-obligation quote or to find out about our cleaners in Tonbridge on 01322 384500. You can also fill out the provided contact form on this page and we will be in touch as soon as possible. For expert commercial cleaning services, whether you require a first-class carpet cleaning service, daily contract cleaning or anything in between, get in touch with Supreme Cleaning today.